Hey team, Anybody have any time over the winter to test out and hit the new balls, or even report on the test balls we tested? What are your thoughts to.... 1) How do they match what previous version you played? Are you staying the same or switching? 2) Did the ball selector fitting tool match what you are playing? 3) Any winter simulator numbers or time spent with the new balls to confirm? I look forward to hearing what the testers have to say... I have spent a lot of time in the simulator this winter but not with the new testing balls. They seem to have a variety of balls there, but not ProV's. 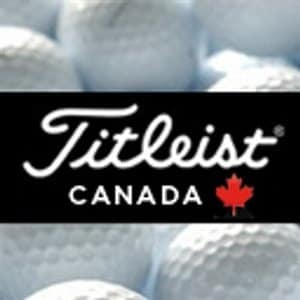 So - I did take the opportunity to try and compare various balls to my ProV's. 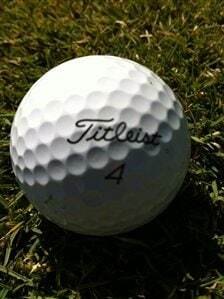 I have to say that the results I see still keep me using the Titleist brand of balls over any others. 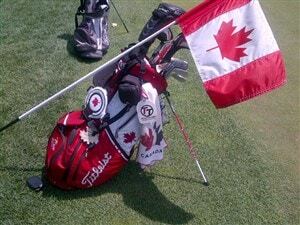 Even the older versions of the ProV's seem to feel better off the club than the competitor models. I am not sure what year the ones I am using were made as I am not on top of the minor differences in alignment lines from year to year, but regardless of that, my ProV's are still the best of the bunch when it comes to spin and ball flight. Although - I don't mind the AVX either !!!! In the fall I played some rounds with the test Pro V1 and Pro V1x. I found them both a little longer than the Pro V1's I had been using. The new ProV1x seemed to go a little higher than the Pro V1. I got a few yards more out of each ball compared to my regular ball. Around the greens the ProV1 had that same soft feel where the ProV1x was a little more firm off of the club face. I don't have any simulator numbers on this. The ball selector fitting tool recommended that I play the ProV1 and I have played ProV1's since they came out. I will be playing the new ProV1 this year for sure and might even try the yellow version! I did not do any testing but will be trying the new ProV1 in yellow. Does anyone know if any pros are playing a yellow ProV? As noted by FJL, Bubba is using it and Kirk Triplett used the Pro V1x Yellow to eagle the second hole to win in a playoff at the Hoag Classic on the Champions Tour..